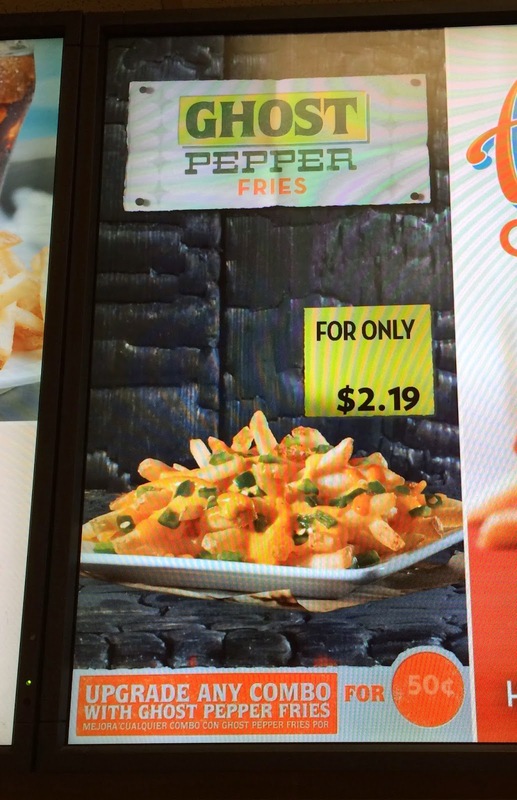 I upgraded the fries of Jalapeño Fresco Spicy Chicken Sandwich combo to Ghost Pepper Fries by adding 50 cents at Wendy's. It's available for 2.19 dollars before tax. Same as Jalapeño Fresco Spicy Chicken Sandwich, it had a whole bunch of diced jalapeños. 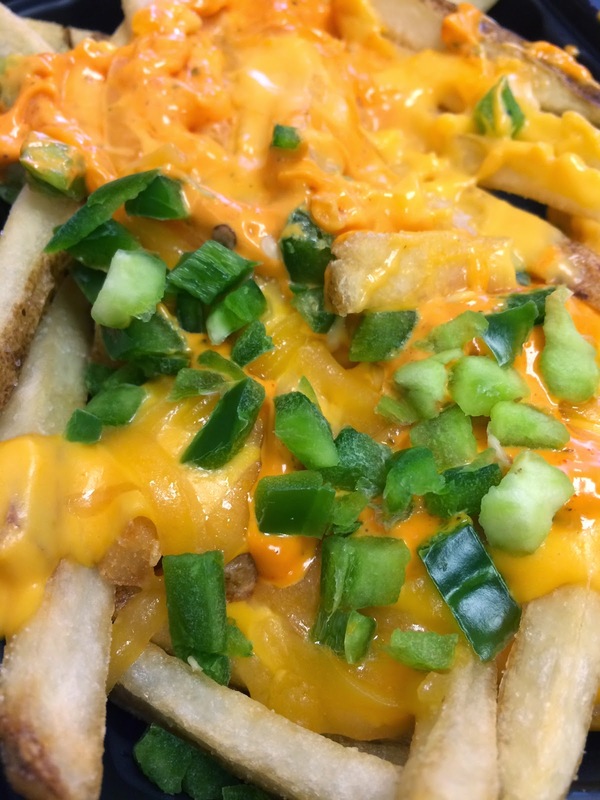 Over salted fries, there're melted yellow cheese (American cheese?) and some shredded cheese (possibly cheddar?) and the same thick sauce used in Jalapeño Fresco Spicy Chicken Sandwich, but now it looked more orangish. 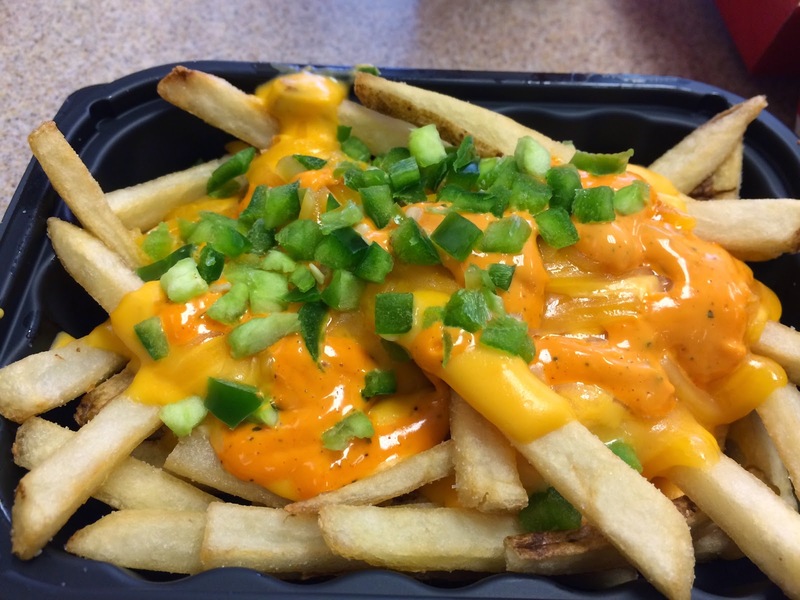 It's named Ghost Pepper Fries, but I doubt they used actual ghost pepper in the sauce because it didn't have any heat other than jalapeño and the level of spiciness wasn't anything close to flaming-hot, but only caused me light runny nose. I got really sick of the same thick sauce when I had this fries with Jalapeño Fresco Spicy Chicken Sandwich, and I think it'd better be consumed separately, not at the same time, or share the upgraded combo with someone.